As you collect experience and hopefully get more senior in your position you are at some point undoubtedly going to get to a point where this is something you will need to start thinking about. I surprisingly often get asked by junior colleagues about how I deal with this, with the implication (At least in my mind) that I seem to have gotten some things right in their eyes so I figured I will try to share some of my insights, tips and tricks in this area. This might sound kind of obvious, but also I have found a lot of people don't like what they do. The key here is that you want to work with something that you don't mind doing if you have nothing else going on. The other part of this tip is that when you don't have anything else going on, try to have the discipline to actually work. What this allows you to do is not work when you do have other things you would like to do. Make sure you also have a boss that realizes that as long as you get your stuff done, it doesn't matter how or when you do it. If this isn't the case for you, start looking for another place to work. In my entire life I don't think I have ever worked on a project that had enough time to get everything that we wanted done in the time allotted to do it. With that you have to realize that very few people will tell you to work less, it is up to you to set the boundaries of how much you work. There is also a point of diminishing returns for when the quantity of work put in doesn't actually increase your productive output. You also shouldn't compare yourself to your colleagues too much, especially when it comes to the quantity of work put in. First of all there have been tons of studies that have concluded that when people estimate how much work they have put in they are usually over estimating it. So when a coworker of your tell you that they have worked 80 hour weeks, take that with a grain of salt. Secondly people might be putting in a lot of time without actually getting a lot of things done. Be the person who works smart instead of hard. 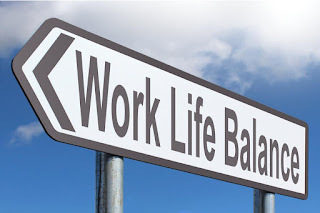 As an example think of the person who works 80 hours a week, week after week, making sure that a system that is unstable stays healthy and when it isn't constantly nurses it back to health. Compare this to the person who instead figures out the few defects in the system that causes it to be unstable and fixes them so the system now runs more or less by itself. Who of these two would you think was most valuable to the team? 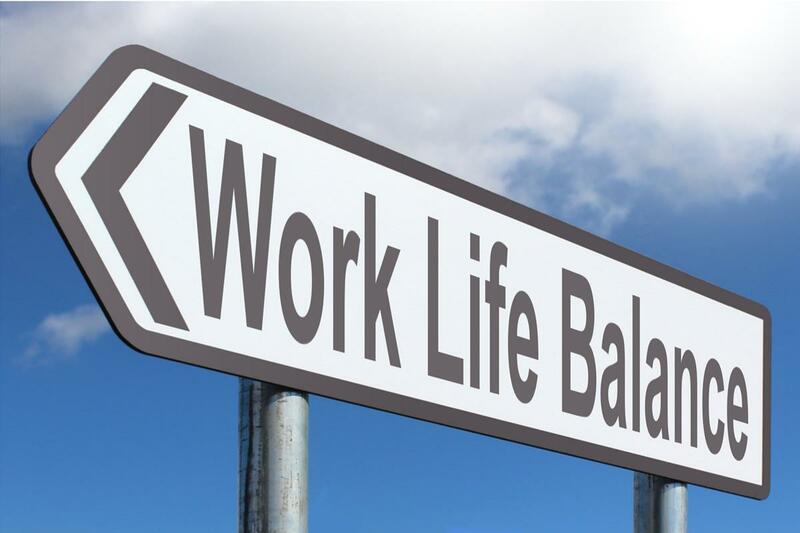 Another aspect of being able to manage your work life balance is to make sure that when you work, you are as productive as possible. In today's world there are so many things that are constantly trying to pull your attention away from what you are supposed to be working on. Especially as you become more senior it will get more important to manage your distractions effectively so that you can actually get things done. In my own case I have several ways in which people can connect with me and I control obsessively what methods are actually able to notify me immediately instead of me only seeing it when I check them. My pager (Piece of software on my phone). This is the only thing that I allow to wake me up if I sleep. Phone calls and text messages. This is the only other thing on my phone that is allowed to either vibrate or make a sound. The one exception is that I allow my calendar to make a tiny chirp when I have a meeting. Apart from that my phone is silent. Chat applications. I don't let these in any way interrupt me. This includes no visual popups or sounds in any way. They are the first things I check when I take a break from work to see if anybody needs anything from me though. Email. It amazes me that almost everybody I know allows mail to both make a sound and show a popup on their computer. For me email is something I check a few times a day and my personal goal is to read emails within no more than a day after it is sent. If you need something faster from me you would need to ping me in another way or just get lucky. All this comes down to trying to get as many prolonged periods of time that allow you to actually focus on whatever problem you have at hand without being constantly interrupted. When you inevitably drift off and lose focus, then you go and check if anybody needs something from you. Not the other way around where you lose focus because other people need your input (Unless it is really important and time critical). An extension to managing distractions is to do your best to not hoard knowledge. First of all, if you are the only person who knows something then you are guaranteeing that people will need to bug you to figure out how things are working. Secondly, you are by extension implying that you are sure that your coworkers can in no way improve your work. Now, if that is true then I feel sorry for you because that doesn't sound like a fun place to work. I have met several people that do this more or less unconsciously probably as a safety mechanism to improve job security. This is misguided though because it ensures that as you progress in your career you are guaranteeing that you will be spending more and more of your time maintaining old projects instead of working on new things and leaving the maintenance to other people and I have hardly ever found an engineer that would not prefer to work on new things rather than maintenance. Also on this topic is to be open for people to come to you and ask questions and your goal should be to explain it well enough that they understand it well enough to be able to answer the same question if somebody else asks it off them. As an ending thought I have a request for junior people reading this though to try to not ask the same question too many times before you write it down so that you don't have to ask it again (Again, just trying to manage your senior colleagues distractions).